Easy Keto and Low Carb School Lunches! — Simple. Fun. Keto! Healthy School Lunches for your kids can be an epic struggle. When you're trying to keep it healthy with low carb, gluten free, or processed sugar free meals to fuel your kids, the options can seem limited. You want to keep your kids fueled with healthy foods, so what's a Mom or Dad to do?! You told me you want some ideas and HERE THEY ARE! Check out these 5 simple school lunches to send with your kids (or bring to work!) any day of the week! Portion them to the needs of your kids! Don't miss our Keto and Low Carb Snacks and our Lunch packing tips! Make Egg Salad for the adults and the kiddos! 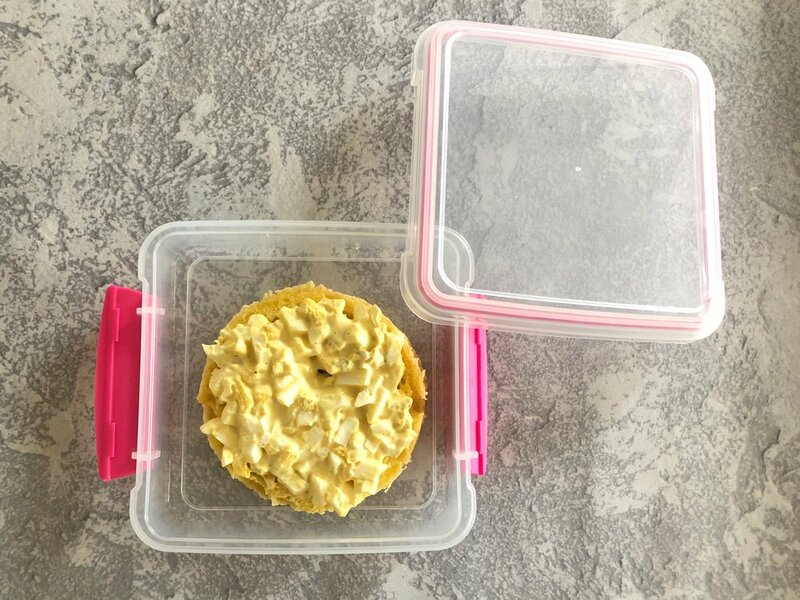 It's easy to Instant Pot (we have this one) a dozen eggs and make a big batch of egg salad for the family! You can save a few hard boiled eggs as a side dish for another day, or make the whole pot into egg salad! Super simple and satisfies just about any kid! You can really use any leftover meat from dinner the night before! If we make a cauliflower/broccoli casserole with (like this one), we'll just pull a little off to the side for lunches. You can do this with steak, pork, or anything else you're making! I usually dice it up so my little kids can eat it easier, but you can leave larger pieces too! Simple Low Carb Tortillas like these Folios or Coconut wraps make super easy lunches. Buy your favorite deli meat (less processed the better! ), add some avocado, greens and cheese and you've got a healthy, utensil free lunch!